I’m an art director by trade but have always been in awe of great copywriting. 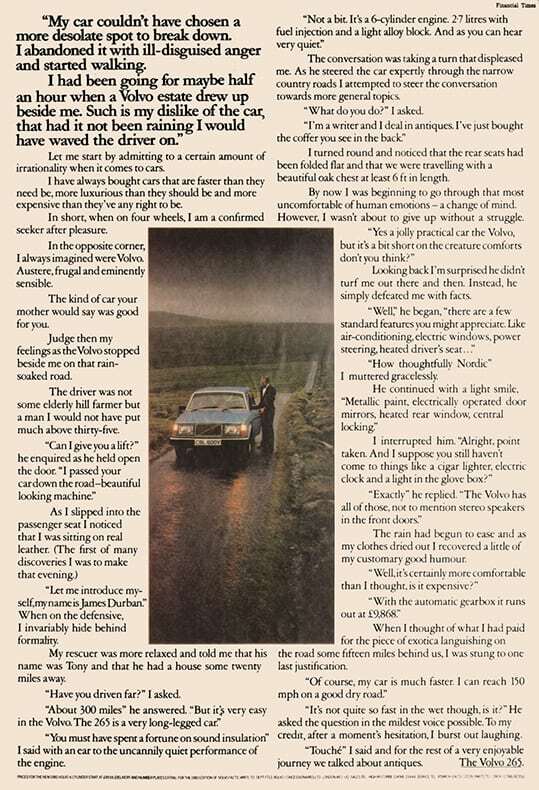 If I had time on my hands on a desert island it would be with some of the great long copy ads from the likes of Abbot, Delaney and Bernbach. In an industry that is producing work that is becoming more wordless and ideas are sometimes celebrated at the expense of craft, here’s a selection of great storytelling. 1. First up has to be VW Lemon. Move past the brilliant headline and look at how the copy manages to convey so much product detail in such a compelling way. 2. Chivas is my pick from David Abbot. Because it is some of the best advertising copy ever written. Not just a brilliant idea, but also 284 beautifully crafted words. 3. I’ve always been a fan of Lego, and these ads really remind me why. 4. 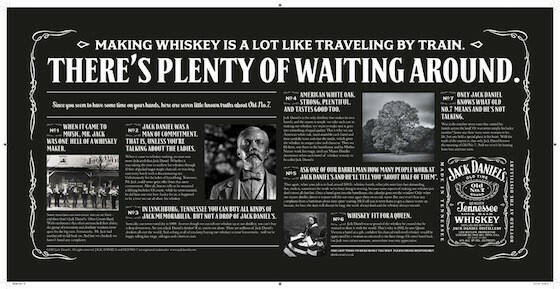 Waiting for the Metropolitan line train has never been more enjoyable than whilst imbibing Jack Daniel’s ads. 5. Great storytelling from Duracell about characters tormented by battery-powered devices that would be better off flat. 6. Car ads have led the way on long copy and few are better than this one from Volvo. Even if you don’t read it you get that’s it’s a brand with something to say. 7. Avis – great copywriting that tells the truth in a way that is very emotional. 8. Most effective headline ever? 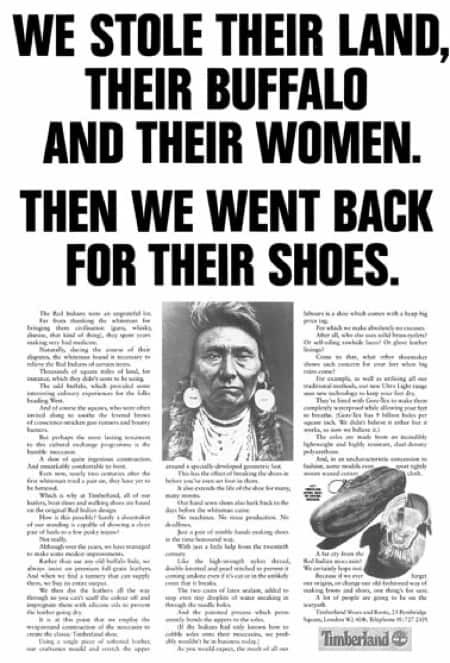 Max Sackheim’s 40-year control ad. 9. Penguin Books – One for bookworms. 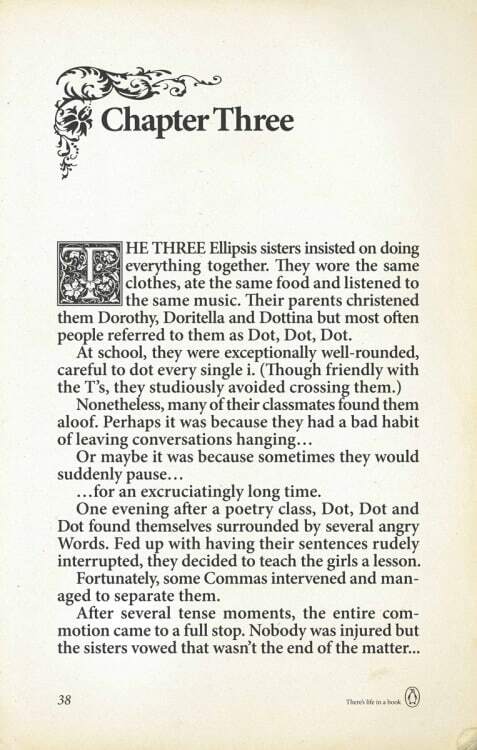 The story of the Ellipsis sisters. 10. This list would not have been complete without the wonderful Timberland ads. They might not be considered socially correct nowadays, but they certainly inspired me to buy a pair back in the day. That Lemon ad is not the original version. OK Shanghai, send us the original…one of yours?